Today, Paytm Mall is hosting the Laptops Super Sale, which will last till September 13. We have listed down some of the best Asus laptops that are available on a discount on Paytm Mall. If you’re thinking of purchasing an Asus laptop and yet not sure where to find the best deals, then we’ve got you covered. We have handpicked the best deals on Asus laptops, which are available on Paytm Mall. 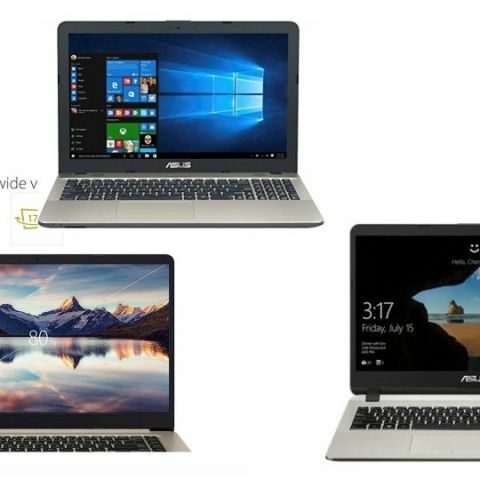 The Asus VivoBook X507UA-EJ180T is powered by an Intel Core i3 processor, which is paired with a 4GB DDR4 RAM and 1TB hard drive. The laptop comes with a fingerprint sensor with Windows hello. Buyers will get the machine installed with Windows 10. Click here to buy. The Asus VivoBook X507UB-EJ186T comes with an Intel Core i3 processor, which is paired with an 8GB DDR4 RAM and 1TB hard drive. The laptop has a fingerprint sensor that comes with Windows Hello. The machine also has a 15.6-inch nano bezel display, which offers a resolution of 1920 x 1080 pixels. Click here to buy. The Asus VivoBook Max features a 15.6-inch full HD display with a resolution of 1920 x 1080 pixels. The machine is powered by an Intel core i3 7th Gen processor, which is paired with a 4GB DDR4 RAM and 1TB hard drive. The laptop comes with DOS, which means one need to install Windows on their own. Click here to buy. The Asus VivoBook R542UQ-DM252T is powered by the latest 8th Gen Intel Core i5 processor, which is paired with an 8GB DDR4 RAM and 1TB hard drive. The laptop also has a dedicated 2GB DDR3 NVIDIA GeForce GT 940MX graphics card. Buyers will get an installed Windows 10 OS with the machine. Click here to buy.